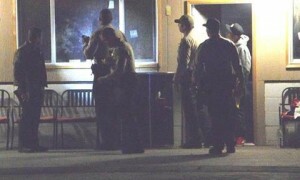 PALMDALE – A 34-year-old security guard was shot multiple times Wednesday night during a robbery attempt at a possible marijuana dispensary in an unincorporated area near Palmdale, authorities said. On November 27, 2013 (Wednesday) at approximately 7:17 PM, personnel from Palmdale Sheriff’s Station responded to a report of shots fired near Sierra Highway and Barrel Springs Road. The preliminary facts of this investigation indicate victim [Arcenio] Tavares was working as a security guard at the Cactus Green Collective when he spotted three males wearing dark hoodies with bandanas over their faces approaching with guns in their hands. The victim drew his handgun, but was shot multiple times by one of the suspects. Despite being hit by the bullets, the victim returned fire and the suspects ran off on foot. The victim was transported to the hospital where he was treated and is listed in stable condition. It is not known if any of the suspects were his by the gunfire. 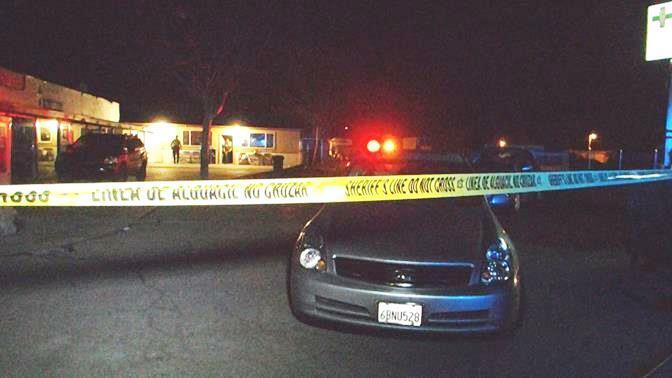 This incident remains under investigation by the Palmdale Sheriff’s Station Detective Bureau. Editor’s Note: A previous version of this story had an incorrect age for the victim. Arcenio Tavares is actually 34 years old. 12 comments for "Palmdale pot clinic shootout"
THIS IS WHY WE CAN’T HAVE NICE THINGS. These [removed] criminals are going to ruin any chance we might have at actually legalizing marijuana. People will point to things like this as a reason why legalizing is a bad idea. I am so sick of all of the senseless violence in our town. My thoughts go out to the man who was shot, I hope they catch the cowards who did this. Vote Green~Nov. 14!!! Why dont all these Collectives form a group to help draft an ordinance to regulate marijuana shops in The City and Antelope Valley, and gather signatures to have it on the ballot on the November 2014 Election ??? All you need is less then 5% of registered voters to vote yes to pass! How about if they stop selling it completely and let the Feds take it over and regulate the growing and sales conditions. We don’t need a bunch more loadies, which is basically all that’s going on right now. Because the feds are doing such a good job of regulating pot as it is. We should DEFINITELY trust them to do that, right? These fools will get caught. I have never been to this collective but how is security set up? The smart collectives keep you locked out, and you have to get “buzzed” in (no pun intended). You hear about collectives getting hit in LA. They are a easy target because they are just about an all cash based and the have weed. It’s sad these three idiots are willing to do at least 10 years for a crime when you know they don’t have jobs and half of their families are living off the system. Just think, it’s the same system that keep them incarcerated till the 2020’s. Hope the idiots get caught ASAP! This could of happened at any bank, convenient store or computer store like the one in Lancaster that killed a man. Its time we fully legalize and give all people the same protection and freedom and go after real criminals like the ones that committed this violence act. EDUCATION~FREEDOM!!!! prayers for a full recovery goes out to the security guard.